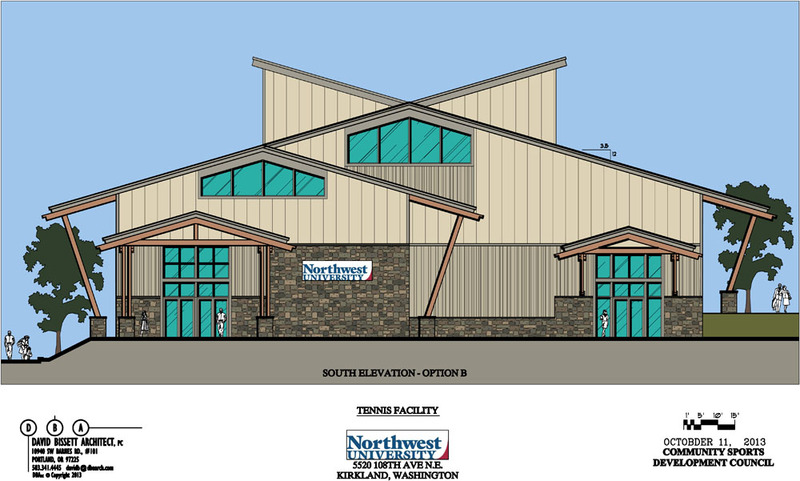 To compliment the growing needs of a premier tennis academy and the private universities athletic program, an indoor tennis complex was needed. The site was constrained by years of surrounding campus development and old growth trees to be retained. 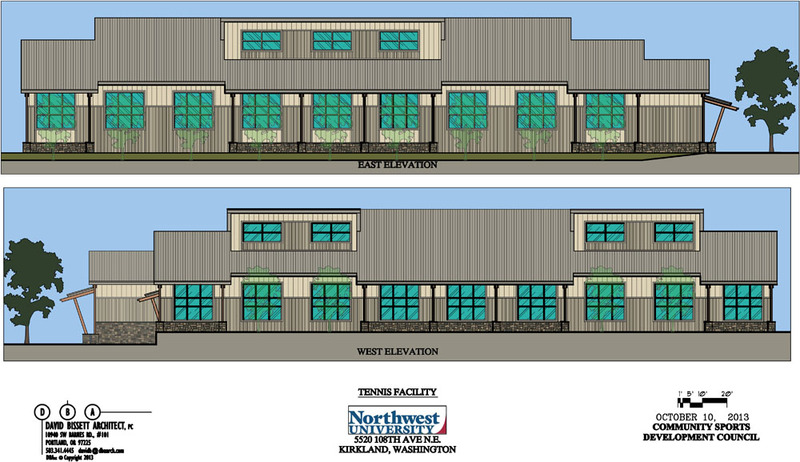 The program called for combining the needs for both users in a new modern facility that fit in with diverse building styles on campus. The decision to adapt a pre-engineered steel building shell for economy and large clear spans gave a good base to develop the desired design. Large glass roll-up doors and clerestory windows provide ample natural light and ventilation. 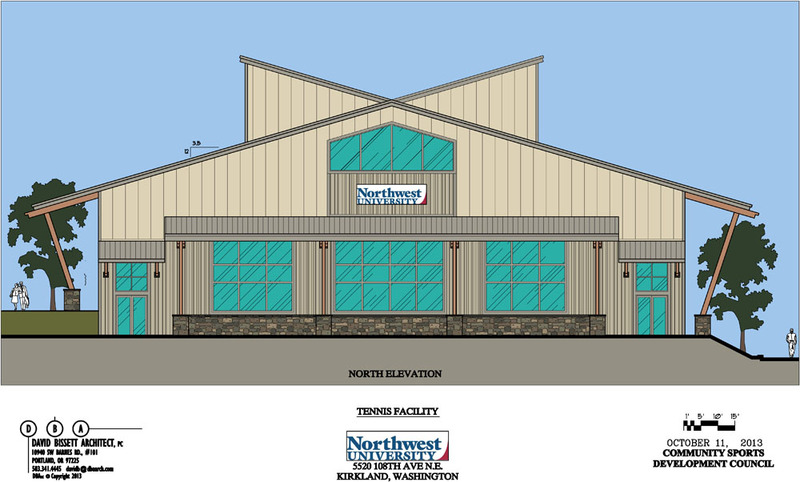 Extended roof overhangs and heavy timber elements and accents give the desired “northwest” character.